A life by the water sounds pretty relaxing – nights on the dock, the tranquility of the water. And though we can't all commit to a life on a boat, a life at sea still has an alluring appeal. But it looks like this one bedroom, one bathroom "Flo-Lodge" may just be the solution. 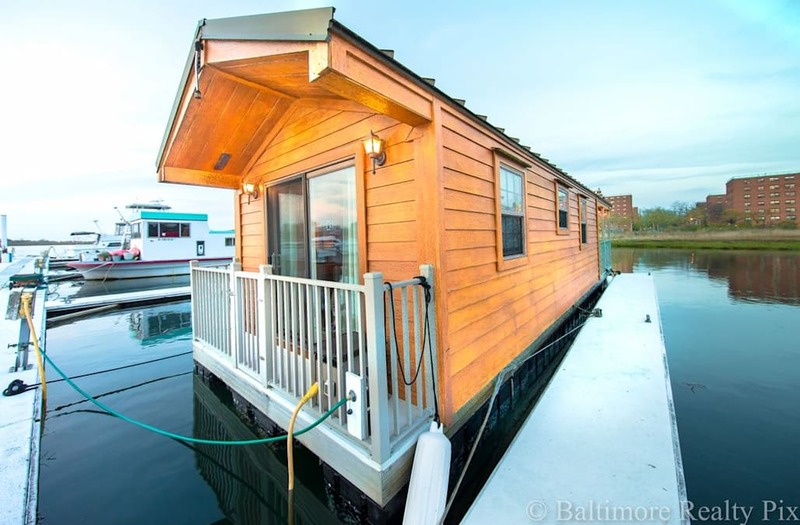 Docked in Far Rockaway, Queens, New York at Marina 59, this 400-square foot gem floats on water accompanied by an enormous deck. The house offers stunning outdoor views of New York City's boroughs and a vibe that'll make you feel like you're on a permanent vacation. The house is made entirely out of wood, giving it an earthy cabin feel. It offers ideal proximity to Manhattan without the hectic feeling of also living there. It's currently on the market for $59,000.